Maxis reported its First Quarter 2017 (1Q17) financial result last Thursday. Its mobile subscribers continues to drop since Quarter 3, 2015. Maxis now has 10.67 million revenue generating subscribers, as of 1Q17. It lost 178K subscribers in the latest quarter. Maxis revenue generating subscribers are defined as active line subscriptions that excludes those without revenue generating activities for more than 30 days. There are now 7.75 million prepaid and 2.74 million postpaid revenue generating subscribers. Out of these numbers, 1.74 million are using Hotlink Fast prepaid and 1.78 million are on the MaxisONE postpaid plan. Mobile Internet users dropped to 8.6 million, from 8.7 million it had in 4Q16. 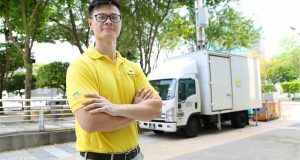 Maxis added 32k postpaid subscribers in the quarter while some 192k Hotlink prepaid subscribers ported to another Telco, terminated or had no activity on their account. In terms of ARPU, it reported RM102 for postpaid and RM42 for prepaid. MaxisOne plan ARPU has dropped from RM153 from a year ago to RM121, as of 1Q17. 77% of prepaid and 83% of its postpaid base are smartphone users. Maxis postpaid subscribers uses an average 6.2GB a month while its 3.7GB/month for prepaid. 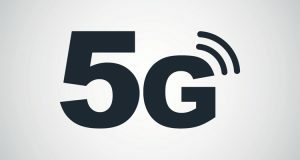 There are 5.2 million 4G LTE devices in the network. 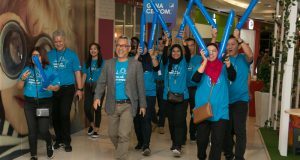 Home Connection Fibre subscriber base is now higher at 153k compared to 146k subscribers in 4Q16. 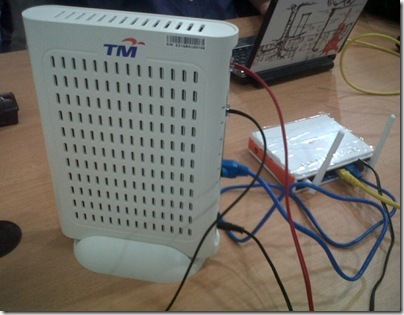 As for the Maxis network, 4G LTE population coverage now stands at 82%, measured at -98dBm. 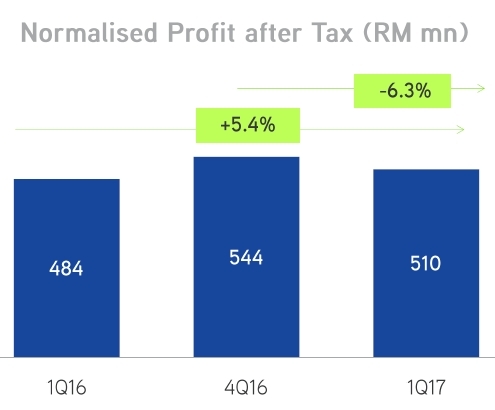 For the 1st quarter 2017, Normalised profit after tax (PAT) declined -6.3% to RM510 million (excludes RM5 million unrealised forex losses) from RM544 million in 4Q16.